As part of the Chorus Ensemble series, the Boss CE-2 absolutely helped define the guitar tones of pop music in the '80s. 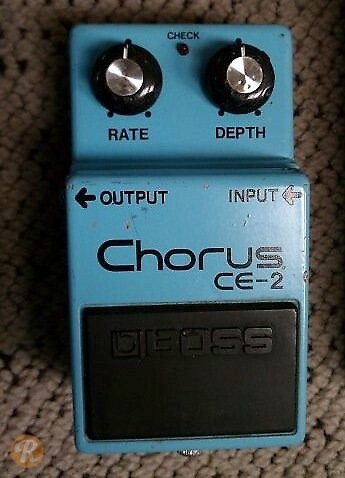 The CE-3 was released a few years later in 1982, though both pedals were in production until 1992. Like other Boss pedals, those with a black label on the back are worth more.